Why is a small boarding school better for your child’s education? The ideal size for an international school is hard to pinpoint, but it is clear that small is better when it comes to some of the key elements of a good institution. This blog provides some insight as to why this is true. With smaller class sizes averaging around 9 students, students at a small school get more individual instructor attention in class and more opportunity for personalised learning. At Brillantmont International School, students aren’t just faces in a crowd or names on a list, they are friends in the hallway and family to learn and grow with. At Brillantmont this year, nearly a third of our students will have presented in the Model UN programme. This autum they attended an MUN conference in Singapore and in January participate in MUN The Hague. An additional group ofstudents participated in TED-x this year, including two who presented. When your boarding school is small, these competitive opportunities are far more accessible to students. Everyone gets a chance to utilise such incredible opportunities. At a small boarding school, your child will not find themselves stuck or hidden in the back of the classroom or in the boarding house. The expectation for participation and engagement in things ranging from academic discussions to extra-curricular activities is exceptionally high at a small school. Students of different grade levels often mix for special presentations or activities and older students encourage the newer ones to create a participatory atmosphere that all feel welcome in. Every child going off to boarding school wants to find a home-away-from-home. There is no better place for this than at a small boarding school where everyone gets to know each other quickly and staff and teachers build a close-knit family through all their activities and interactions with students. 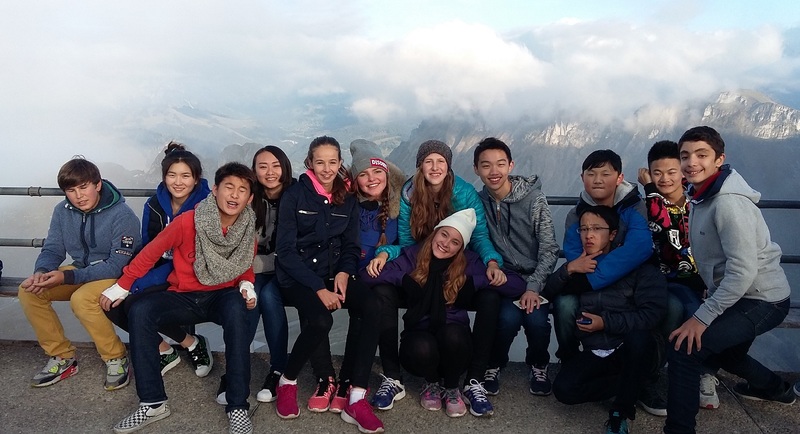 To find out more about the boarding programme at Brillantmont International School, please click here.